All Fired Up Fire Services Pty Ltd was established in 2011. 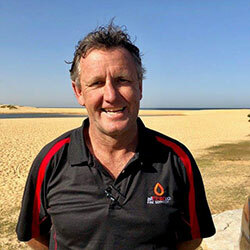 The company is a dynamic amalgamation of two experienced operators, Craig Doyle and Andrew Mortlock. Lifelong mates, Andrew and Craig work well together as they both hold very different roles with in the company. It is vital to both of them they maintain the company’s independence, and ensure All Fired Up remains wholly locally owned and operated. All Fired Up has no association with any national or multinational fire protection companies or manufacturers. The team works with suppliers to provide the best product at the best prices for our valued clients. Our company’s goal is to add value to your business, providing honest, efficient and cost effective fire protection to clients large and small, whether it be commercial, industrial, residential, or the individual property owner. All Fired Up has your back! Please, call the team to discuss your fire protection needs. Craig’s background is in management and business development, His experience has a broad scope, working with huge multinational companies , to small business, Craig is a management wiz. Craig has a natural flare for business development and an extensive appreciation of the critical value of customer service. Craig is an experienced manager holding management roles scoping responsibilities both here and overseas. Craig holds a Degree in Economics, with majors in Economics and Geo-planning and a sub-major in Business. He has his finger on the financial pulse of the business at all times. 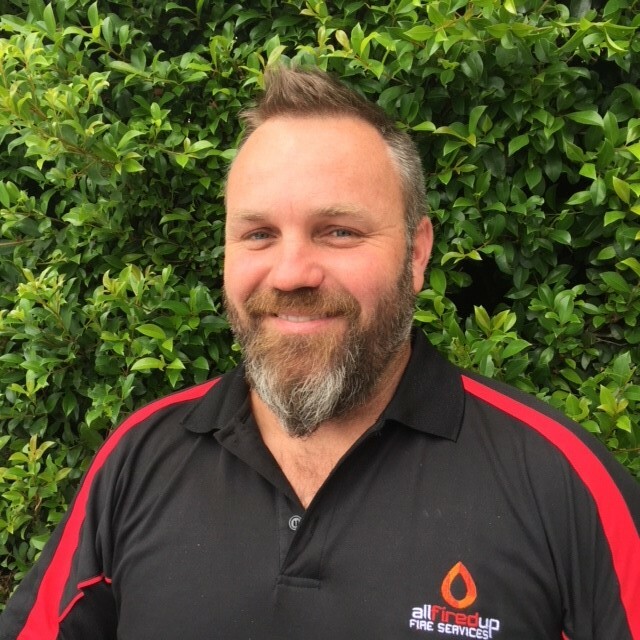 With an extensive grounding in the building industry, Craig has combined his knowledge of management and auxiliary building services including fire protection to ensure All Fired Up’s clients’ needs are met in an efficient and cost effective way. In addition to his business acumen, Craig has extensive experience in local government, serving as an elected Councillor on Gosford City Council for over 18 years, incorporating 9 years as Deputy Mayor, retiring due to the amalgamation of Gosford and Wyong Councils in 2016. As a result of Craig’s service on local government ,including many posts to boards and sub committees he developed a unique understanding of the solutions required surrounding the provision, maintenance, and certification of Fire Services. …working at Mascot, Bankstown and Wagga Wagga Airports. This role included working on fire pump sets, fire trucks and tankers, diesel generators, sewerage and water pumps. 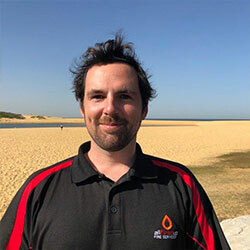 Andy has intensive experience working on all types of fire systems on both the installation and service/testing sides including fire sprinkler systems and pump sets, portable fire extinguishers, fire hydrant, hose reel and fire alarm and detection systems including gas systems. Completing his advanced certificate in Fire Technology, Andy qualified as a Graduate Member of The Institute of Fire Engineers GIFireE. In 2001 the company Andy was working with merged with Wormald and over this time he gained exposure to some very large fire systems including Sydney Opera House, Sydney University, University of NSW, Carlton and United Brewery (and no there wasn’t any sampling of the product), The Federal Law Courts of Australia and many other high-rise buildings and factories throughout the greater Sydney area. Completing his Sprinkler Fitters License and Work Cover White Card. …we are to have the one and only Queen Donna Bevitt join the family. Donna brings to the company 20 years of corporate management experience, incorporating Human resources management, Advanced Financial Management, and in addition WHS, RTW, Compliance skills and experience , that are unsurpassed. 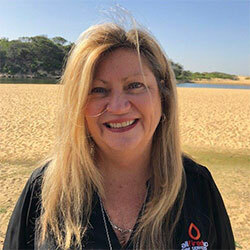 Donna adds complete balance to the All Fired Up team with her caring, HR-y and professional manner. Donna has a special talent for handling pressure and managing difficult work place situations in a kind, yet on point way. 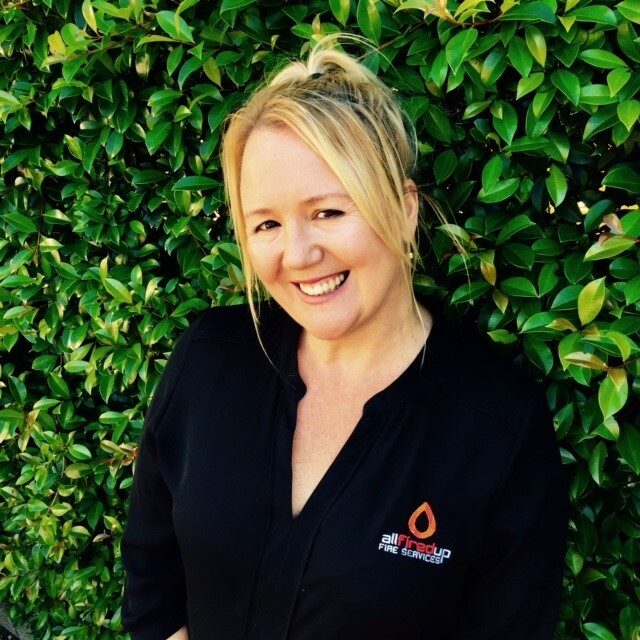 All Fired Up hit the jack pot when ,after over19 years with her previous employer she became available and decided to become an all fired up gal ! …as an electrician and with 12 years’ experience working in the fire protection arena, Steve knows his way around a fire panel. 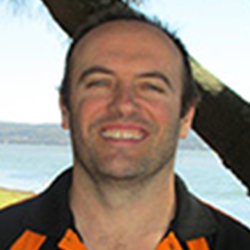 Steve is a team player holding a Club Coach NCAS Level qualification from the Australian Rugby League National Coaching Scheme and both playing and coaching for the Entrance Rugby League Club for over 11 years. Adding a dash more humour to the All Fired Up team, this cheeky lad is both an expert in his field and a great guy to have on site. 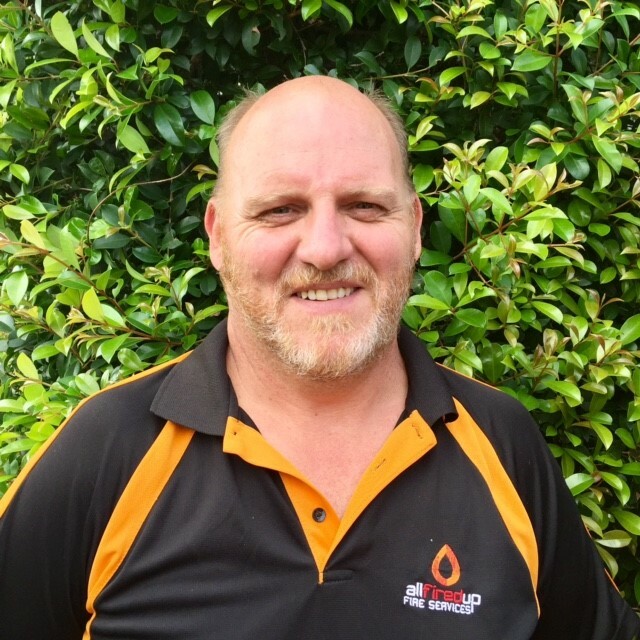 Brendan is a fully qualified Plumber with sprinkler fitter and testing experience. With close to 10 years in the industry working primarily in commercial and high rise in the CBD of Sydney. Brendan brings a wealth of fire protection and maintenance plumbing skills to the role. Brendan has an easy-going friendly nature, is professional and has a great attention to detail. Recently moving his young family to the Central Coast from Sydney, Brendan is keen to make the Coast home. A passionate, talented muso, Brendan plays many instruments, his favourite being the drums. Brendan will fit in well with the AFU team as he also doesn’t mind the odd round of golf. Joining the AFU team Lorraine comes from an extensive background in reception and administration. Lorraine has a great skill set and is the perfect person to greet AFU clients, both on the phone and face to face in the office. We are so thrilled Lorraine is our AFU director of first impressions. Steve is extremely thorough in his work and an electrical professional. He is diligent and a vital part of the All Fired Up team, as well as a champion squash player so watch out! 15 years working in the fire protection industry. A local guy and father of three, Steve is an integral part of the All Fired Up team. Steve attended Miller College of TAFE completing his Electrical Trades Course. 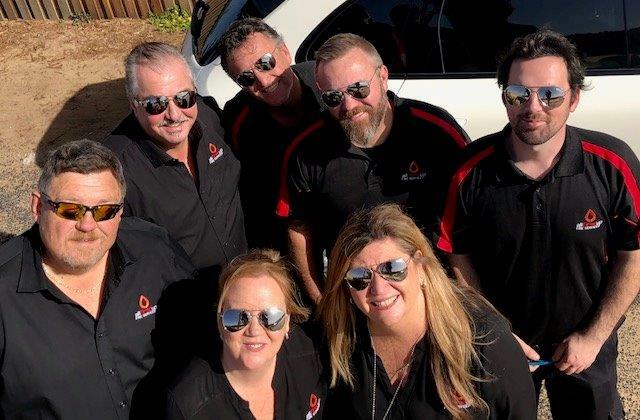 Matt is one of the team, and although a subcontractor, All Fired Up only engage the best subcontractors, and hence when we need support, we call Matt. Matt is the building guru, our favourite chippy, and is a fully qualified carpenter/joiner. He has over 25 years’ experience in the building industry and began his journey working for St Mary’s Cathedral in Sydney. He has worked for several companies since his time at St Mary’s and has gained experience working for building companies including the Accor Hotel Group. Matt is currently working within the Fire Door Industry hence we need a professional on site to advise the team on fire doors and building compliance.